One of the benefits of being in the Media, Marketing, and Communications Scholars Program are Digital Sandbox Project Groups. Led by older MMC students and other upperclassmen, a variety of Project Groups are offered each semester in 7-week and 14-week programs focusing on a wide range of useful tools used in Media, Marketing, and Communication such as Photoshop, Word Press, and Java. This semester, I am currently partaking in the SolidWorks and 3D Printing Project Group. In this group, we explore the basics of the SolidWorks Software, and learn to 3D print our 3D models. Below is a sample of some of the projects I have completed for the class. In the world of Computer Science and Software Engineering, it is important to always keep a repository of your projects and programs. This repository can be used to show companies and corporations your previous experience, expand your personal network of connections, and allow others to view and improve upon your work, among many other uses. The link below will allow you to connect to my personal GitHub repositories. They contain projects completed in my Computer Science classes at OSU, as well as personal exercises and additional projects. Click Here to access my current Resume, as of October 22, 2018. 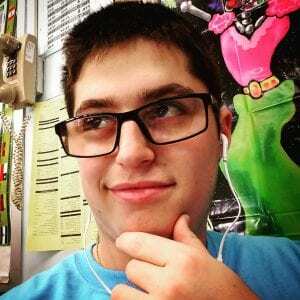 Zachary Baruch is a first year student studying Computer and Information Science at the College of Arts and Sciences, and is currently enrolled in the Media, Marketing, and Communication Scholars program. In addition, Zach plans to pursue Minors in Music and Mathematics. In the future, he hopes to use the skills he has learned to develop music-related software, whether at a large technology corporation or at his own startup. He graduated from Wantagh High School with a Regents Diploma with Advanced Designation with Honors, and was a member of the National Honor Society. At The Ohio State, Zach stays involved as an active member of the Athletic Band and the Engineers For Community Service Organization. He also participates in Block O and the Casual Sports Club, while working as an Official for Intramural Sports. During his free time, Zach enjoys solving Rubik’s Cubes, practicing card tricks, playing and singing along to music, folding origami, brushing up on his coding skills, browsing the Internet, and playing video games.